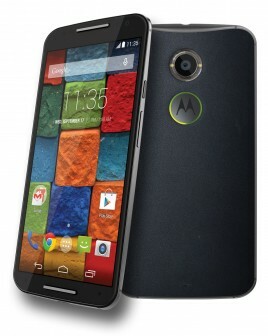 Verizon Wireless today announced that its variant of the Moto X will be available beginning Friday, September 26. 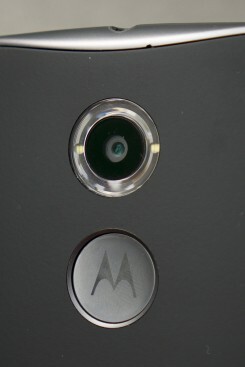 Customers can order preconfigured versions of the device, or use Moto Maker to design their own. Verizon is selling the 16-GB model for $99 with a new contract and the 32-GB version for $150 with a new contract. Verizon also plans to sell the Moto X through its Verizon Edge plans, which require monthly fees. Last, customers who sign up for a More Everything plan with at least 1GB of data will receive an extra 1GB of data per month for up to 24 months. Last year's Moto X was a major turnaround point for Motorola. Building on the critical acclaim of the first model, the company is back at it with the second generation Moto X. The display, processor, and camera specs are all improved, and it's been upgraded to a metal frame that forms the sides. You can still customize it with colors and wood, and now leather as well. But how is it in person? Read on to find out. Motorola today announced the 2nd-generation Moto X. The new Moto X sports a larger, 5.2-inch AMOLED full-HD screen, Snapdragon 801 processor, and 13-megapixel camera with 4K video capture. It's also thinner and sports an aluminum frame and sides and Gorilla Glass front with a curved beveled edge. The new Moto X is available with custom color combinations and materials through Moto Maker, now including leather backs and custom accent colors on the front. New infrared sensors allow the phone to automatically wake up and show the time when your hand is near the front, and wave gestures silence calls and alarms. The hands-free voice activation phrase can now be customized to something other than "OK Google Now". Turbo charging can add eight hours of battery life in just 15 minutes. A best-shot feature captures several photos before you press the shutter, and uses face recognition to automatically suggests a better shot if you were late to capture. The new Moto X will be available with Moto Maker customization on both AT&T and Verizon. It will cost $99 on contract or $499 unlocked and ship later this month.